I requested If We Lived Here through NetGalley based on the above description—which is ironic, because I ended up disliking the book based on that description. Bear with me on this, because this is definitely a love-dislike type of review (“hate” is too strong of a word). When B and I moved in together two years ago, it was a big deal. We battled giving up our freedom, questioned what it would be like to cohabit, and we have bickered several times about who has to clean the toilet. Don’t even mention the actual apartment hunt. Because of this, I thought this book would really hit home. I guess I got what I wished for, because the story was very…real. And to be honest, sometimes real is boring. I don’t pick up a book to read about what happens in real life. I want to read about drama, or adventure, or something other than two thirty-somethings who are very in love with each other but scared to death of taking the next step. I could relate to Emma’s character. Straight and narrow, career-oriented, type A. In fact, Nick kind of reminded me of B—the opposite (though B is definitely not vegan). That being said, I wanted to shake Nick every time he got drunk and did something idiotic, and I wanted to shake Emma when she shrugged it off and babied him. It was a very real and frustrating read. That being said, I did enjoy Palmer’s writing. It was witty, fresh, and flowed well. 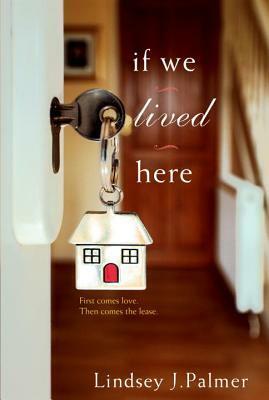 I was given a free ARC of If We Lived Here by Net Galley in exchange for an honest review. If We Lived Here will be released on March 31st, 2015 by Kensington.